SambaPOS version 5.2.3 (or greater). Get the Lastest Release of SambaPOS 5.x.x. SambaPOS Database running on Microsoft SQL Server 2016 Express Edition (multi-user, non-LocalDB install). See How to updgrade to MS SQL 2016. QMX client devices require an ES5-compatible Browser (Chrome 49+ (recommended), Firefox 55+, Chrome for Android 61+, Android Browser 4.4+, Safari 10.1+, iOS Safari 10.2+, Edge 15+, IE11). IMPORTANT: QMX needs to be installed on the SambaPOS "Server" computer (the Windows computer where the SambaPOS Database resides). 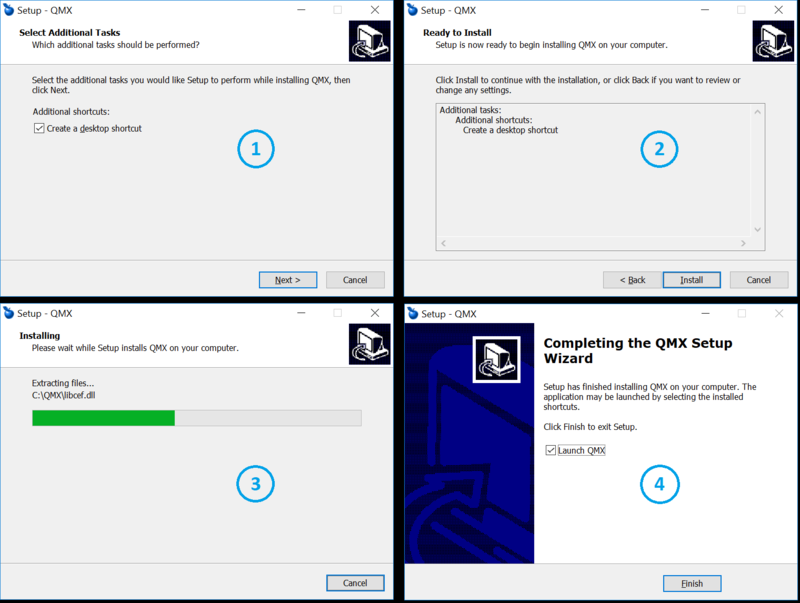 After downloading, simply run the QMXsetup.exe installer executable and follow the instructions. NOTE: The first time that QMX is run after installation, it might take up to 30 seconds to display information. This is due to the default Database settings, and the initial "search" for the SambaPOS DB. When QMX is installed and running, move on to the QMX-Server Configuration.